Located just off the highway at 101 Bow Valley Tr., just minutes from Downtown Canmore, Bow Valley has been offering qualified, professional and personalized and no-hassle service to customers with over 22 years' experience in the auto industry; more and more satisfied customers are driving from Calgary to Canmore for excellent service! "Service delivered on time and as requested"
We had a great experience purchasing our new Ford from them and would highly recommend them to anyone else. We would definitely by another through them. 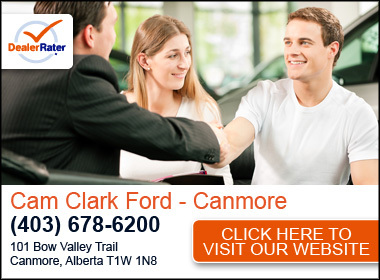 I have been to Bow Valley Ford, now Cam Clark Ford, in the past. I brought my vehicle in early in the week and picked up vehicle on a Friday. 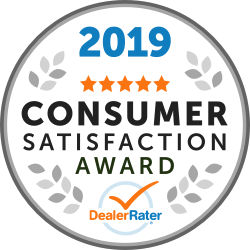 Alexis was my service advisor and she has been absolutely fantastic, caring, and knowledgeable with all of my concerns. Alexis organized drop off’s and pick up’s for me, so I didn’t have to freeze. Which I appreciated! Alexis’ service overall was above what I expected. Thank you.